Calling all new Slice of Life writers! We have a challenge for you. 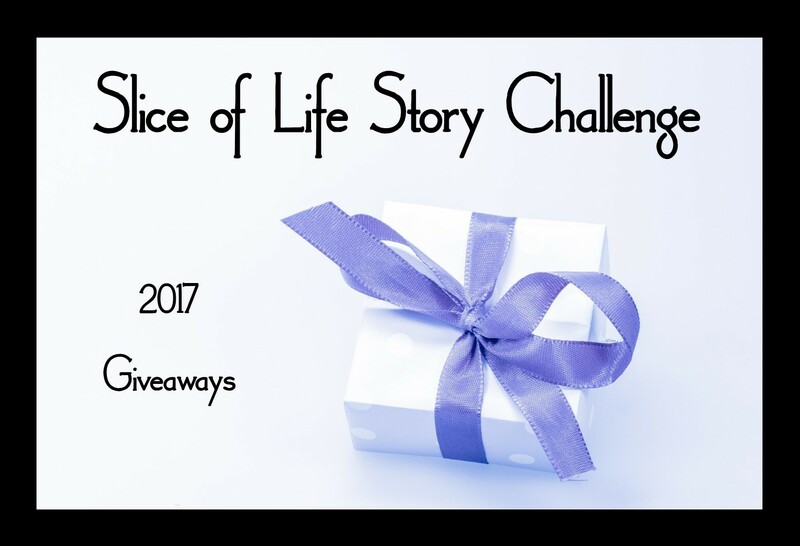 We are nearly at the end of the 10th Annual Slice of Life Story Challenge. As a new member of this community, we hope you have found your writing groove. We hope you are living like a writer and finding the stories that exist in your day-to-day life. This community needs two things: writers and readers. Both are equally important to this community.This challenge aims to recognize both. We are asking Slicers who are new to our community: Which Slicer has encouraged you this month? Who has left a comment on your blog that moved you? Who has inspired you to keep writing? Who has lifted you up as a writer? First-time Slicers, please nominate a fellow Slicer to be your co-winner in this final challenge. Leave a comment on this post by Sunday, March 26th at 11:59 p.m. Tell us which Slicer has inspired you the most through the comments s/he has left on your blog. Both you and the person you nominate will win a copy of Clare Landrigan and Tammy Mulligan’s book, Assessment in Perspective: Focusing on the Reader Behind the Numbers, and an individual Skype session or one together, depending on your preference. While the other co-authors and I certainly hope we have inspired you and made you feel welcome, we never enter ourselves into prize drawings. Therefore, please do not mention any of us (i.e., myself, Beth, Betsy, Kathleen, Lanny, Lisa, Melanie, or Stacey) when you leave a comment on this post. Please do not leave the link to your Slice of Life Story as a comment on this post. You must leave your link on Melanie’s daily call for slices today and tomorrow. Again, you must leave your comment by 11:59 p.m. EDT on March 26th to be entered into this giveaway. The winner will be chosen by a random number generator. The name of the winning pair will be announced by Tuesday, March 28th at the bottom of this post. Thank you to Clare and Tammy, authors of Assessment in Perspective, for the generous prize! Thank you to all of the first-year Slicers who participated in this post. Aggie Kesler has been an amazing, consistent, and positive commenter on my blog throughout the Slice of Life challenge. Her regular comments are positive and uplifting, and I have loved learning a little bit more about her and her many years of slicing (I think it’s seven now!). Thanks Aggie for being such a positive part of my first Slice of Life challenge. My biggest inspiration has been wahooliteracyteacher. She comments on my blog every day with helpeful tips and advice. I look forward everyday to what she is going to say. It helps fuel me as a writer. Wearing my heart on my sleeve is less scary when you have a little bird on your shoulder encouraging and celebrating you. I would have to say that Linda Baie has been a blessing this month. She has been consistent in her comments on my blog, she hasn’t missed one (which I really appreciate as time went on). Her feedback is specific on my ideas and my writing. This experience has been amazing and I really didn’t know what to expect (of myself or of others). I appreciate you having a crew of people that read, I was surprised on how much I looked forward to comments. This community has been wonderful and now I understand Tuesdays Slice of Life more. It can be quite intimidating to join a writing challenge when you are just trying to survive with teaching, but you all make it feel do-able. Thank you. I did not know what to expect from this challenge, but now know that it is life changing on so many levels. 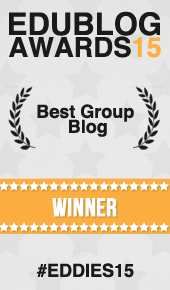 The one person who has commented on my blog every day is Diane Anderson (https://newtreemom.wordpress.com/). I started to realize early on in the month that Diane was commenting on many of my posts. Once I noticed it, I have looked forward to checking each day to see if Diane had commented for the day. Without fail she has left words of encouragement every day and given me the confidence to keep writing. I feel like I have made a new friend through writing. This has been a great month of writing for me. I have not written consistently or daily for a whole month like what I have been doing as a new slicer for many years now. I have had many encouraging comments and really looked forward to them, to help or motivate me to write my next piece. Terje -Blog: ‘Just for a month’, has commented on a number of my posts. Her comments are a joy to read. Very positive, encouraging and sometimes questioning the content of my piece, with interest. I therefore nominate and thank Terje for reading my posts. One of the reasons I keep writing, though, has to be Erika Victor. I know Erika will arrive to visit, read my post, and leave a helpful and motivating comment. I appreciate her insights, as she is also an expatriate teacher. Others have come often, as well, but Erika has been faithful daily! I have appreciated her companionship, even when my posts were quick, shallow, or dull. Although I was touched by comments shared from many slicers, as well as a few literacy leaders not involved in the challenge, Joanne Toft has been steadfast in her feedback. When I first created my blog, I was given great advice – Do it for you; take the risk. With only two posts under my belt, taking this thirty-one day challenge was a risk. Having Joanne’s consistent feedback has definitely carried me through. She is a retired teacher, but clearly a teacher for life, as she still volunteers in many ways to support our kids. I’ve been inspired and encouraged by a fellow new slicer, Lydia Dudenas AKA tinybirdwithabigsong, https://dudenasl.blogspot.com/. Through a combination of her positive comments and her positive postings, she’s kept me going through this month! I have been blessed with several frequent visitors and commenters, all very supportive. I’d love to nominate Amy Warntz (Runner, Reader & Rockin’ Mom). We “found” each other during the first week of slicing and she’s been cheering me on ever since, even encouraging me to stick with slicing on Tuesdays after the SOLC has ended. Amy has really made me feel that my ideas and thoughts matter, and that I am a part of the slicing community. Thank you, Amy! Katie Diez has been an inspiration to me – she has left thoughtful comments, shared her own stories, and has pushed me to try new formats. I always scroll down to see what she has written. Thanks, Katie! My four adjectives for this morning. Kristi is always leaving me a comment and as a bonus I connect with her through Voxer where we get to inspire each other on there as well. All of the readers and comments have kept me going. Thank you for creating and supporting this beautiful community. I’m happy to have found it and be part of it. I have developed a little band of encouragers. First, Brian Rozinsky, welcomer in chief, who deeply reads my blog each day and writes a comment that always makes me feel ‘really read’. Your prize made me chuckle because my second cheerleader is Clare. We now have ‘real’ life and virtual life together. I save her comments. They mean so much. Then, I have my new friends, the coaches, poonam1 and jcareyreads. These two write seem to write from my thoughts and comment like we are old friends. I’ll carry them with me for a long time, my virtual PLN. please don’t enter me for the prize. I have the benefit of our local treasures Clare and Tammy often. Awww! Erika (poonam1) and I work together and email your posts back and forth and talk about them in “real life.” You’d fit perfectly on our team- if you’re even in the mood to test out a new district! Michelle Haseltine, one grateful teacher has been my inspiration. I always look to her blog to see what she has written or ideas she has shared.